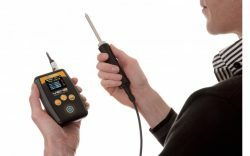 Vibration Condition Monitoring is a predictive maintenance method that allows for early detection of problems with vibration. 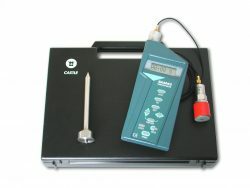 The techniques of Vibration Condition Monitoring share a common objective of indicating early signs of deterioration or malfunction in machinery. It also helps to reduce failures in your workplace as well as increasing your safety and machine performance. There are many faults that can cause machine failure and all of them are detectable and most of them are preventable. 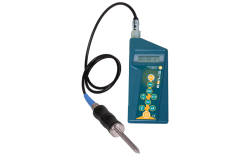 Instruments have been designed specifically for monitoring the conditions of machinery in order to detect changes which are likely to cause future faults to develop. Predictive Maintenance is the process whereby techniques are used to monitor the condition of your equipment which will in turn enable you to predict when problems are going to occur. There are many techniques for predicting failure. The technique that is chosen needs to be effective and provide a sufficient time period for maintenance before failure could occur. Predictive Maintenance ensures that a piece of equipment which requires maintenance is only being maintained just before imminent failure. Why do we need Predictive Maintenance? Predictive Maintenance is needed within a company in order to prevent the occurrence of breakdowns which may lead to unplanned downtime. It can also help us make sure that our machines are predictable and reliable. This means that we can see when problems are starting, allowing us to maintain the equipment before the equipment breaks.